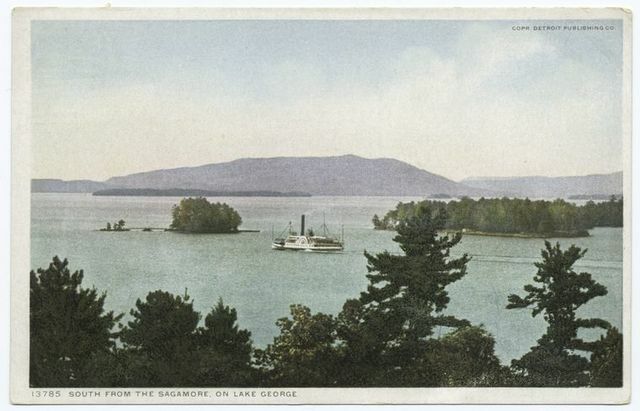 South from the Sagamore, Lake George, N. Y. 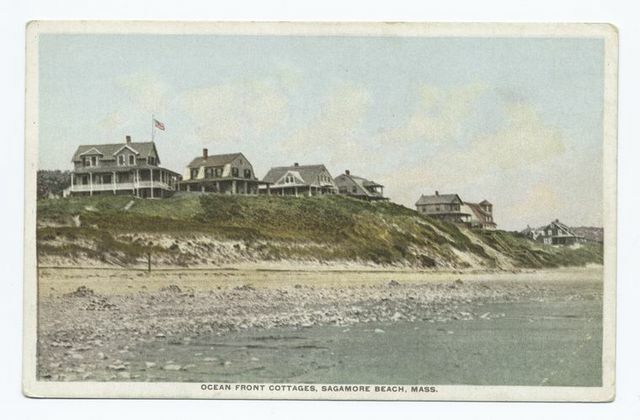 Ocean Front Cottages, Sagamore Beach, Mass. 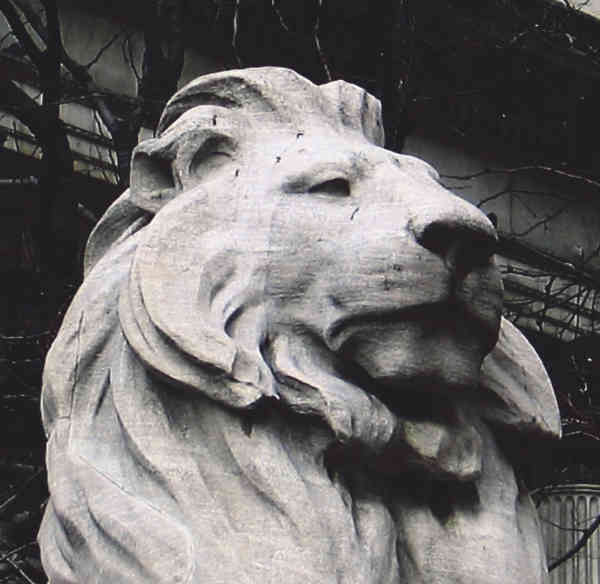 Strs. 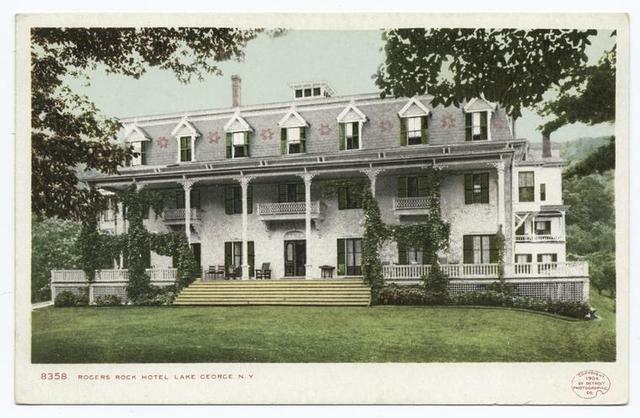 Sagamore at Silver Bay, Lake George, N. Y.
Rogers Rock Hotel, Lake George, N. Y. 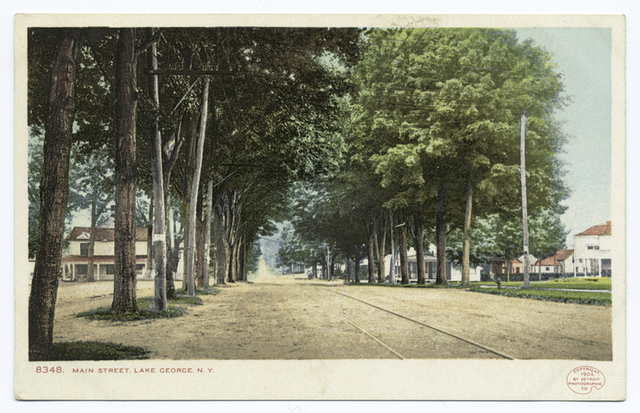 Main Street, Lake George, N. Y. 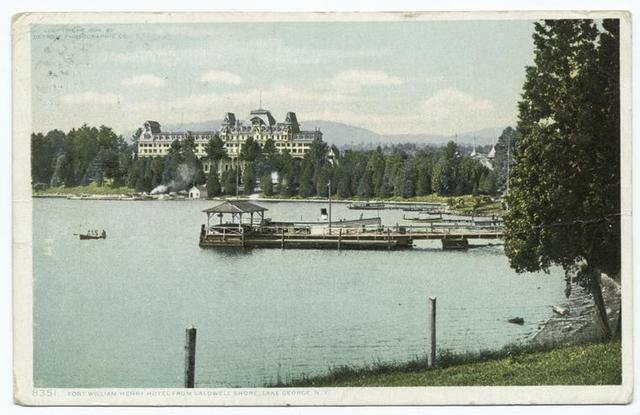 View from Caldwell, Fort Wm. 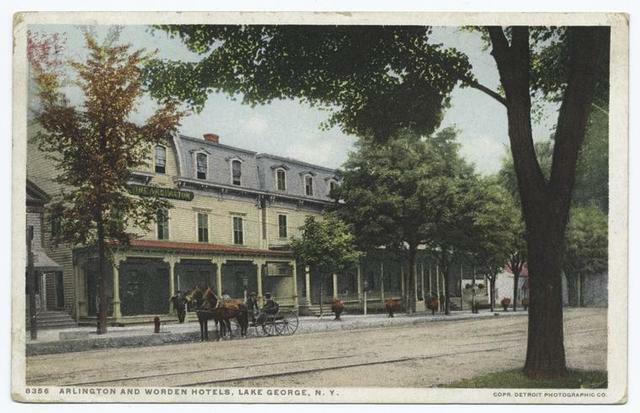 Henry Hotel, Lake George, N. Y. 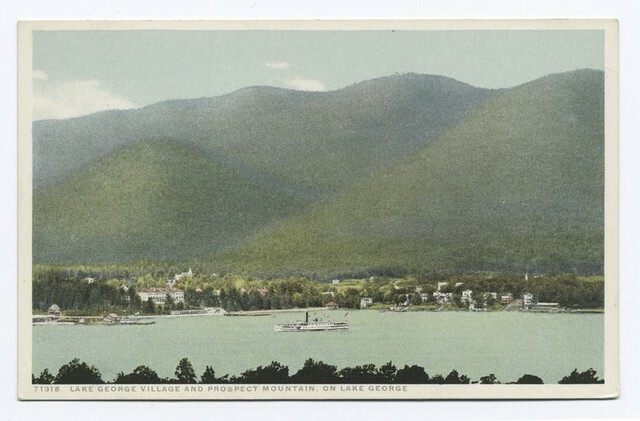 Lake George Village and Prospect Mountain, Lake George, N. Y. 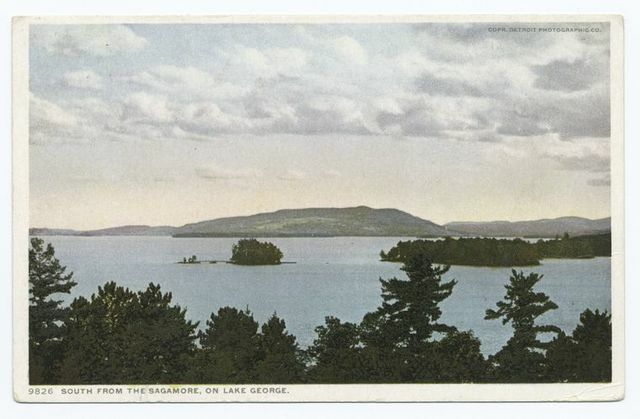 Morning - Green Island, Lake George. 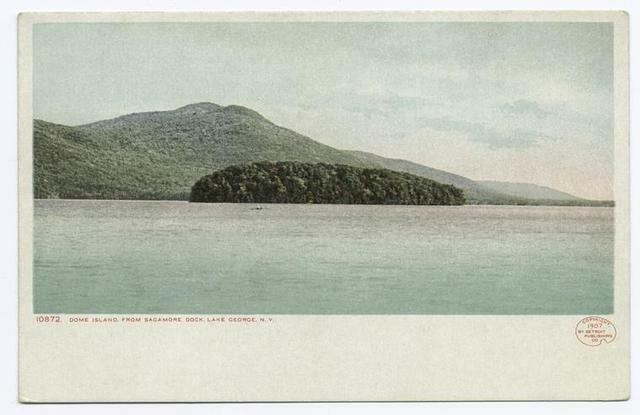 Green Island south from Sagamore, Lake George, N. Y. 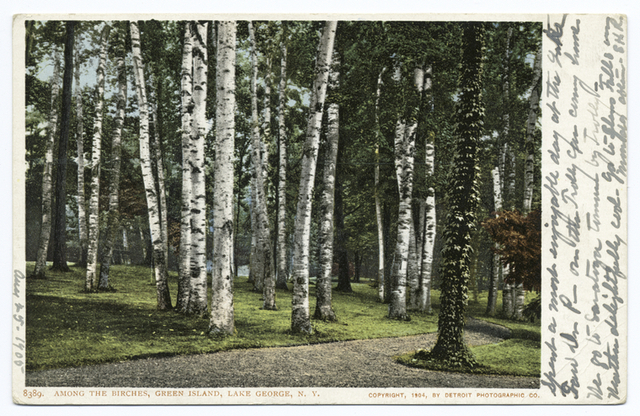 Among the Birches, Green Island, Lake George, N. Y. 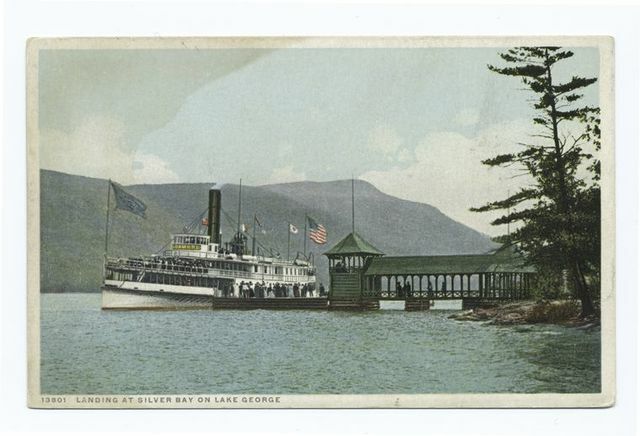 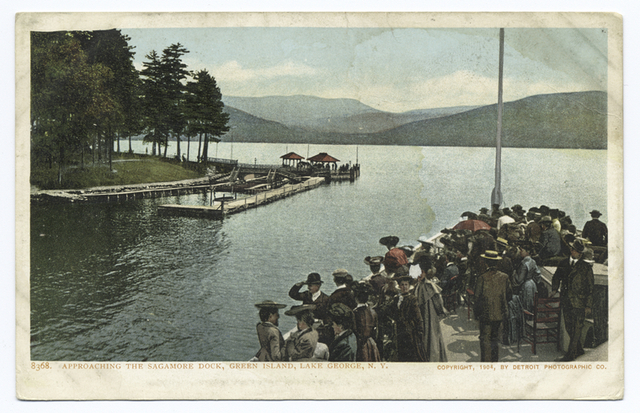 Green Island, approaching Sagamore Dock, Lake George, N. Y.